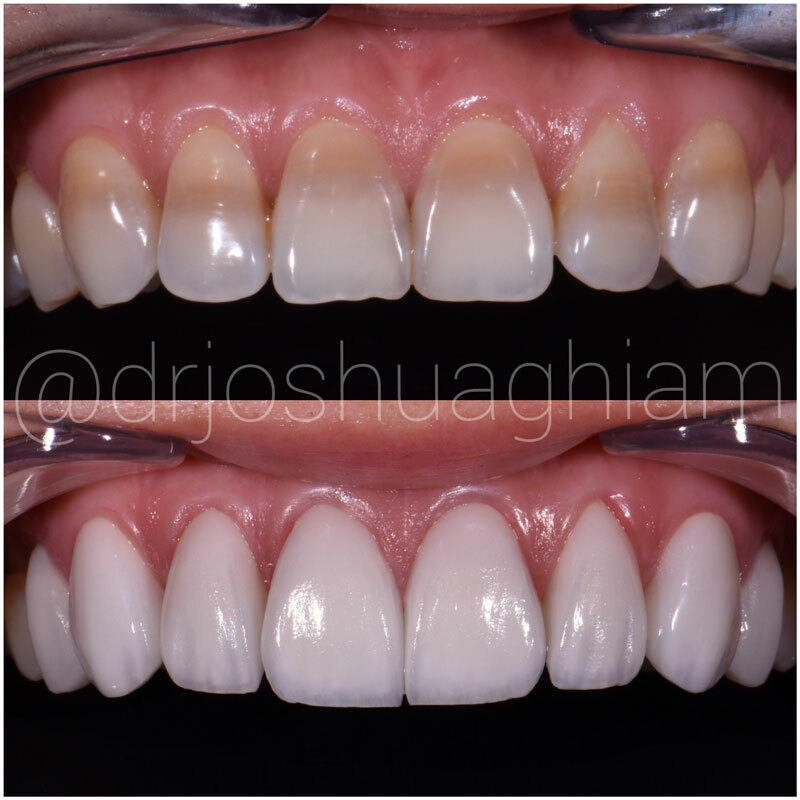 Treatment of 8 Porcelain Veneers were used in this case to treat Tetracycline Staining present on the front teeth in addition to correcting severe wear from grinding the teeth during sleep. Tetracycline Staining seldom is treated successfully with teeth whitening or bleaching. 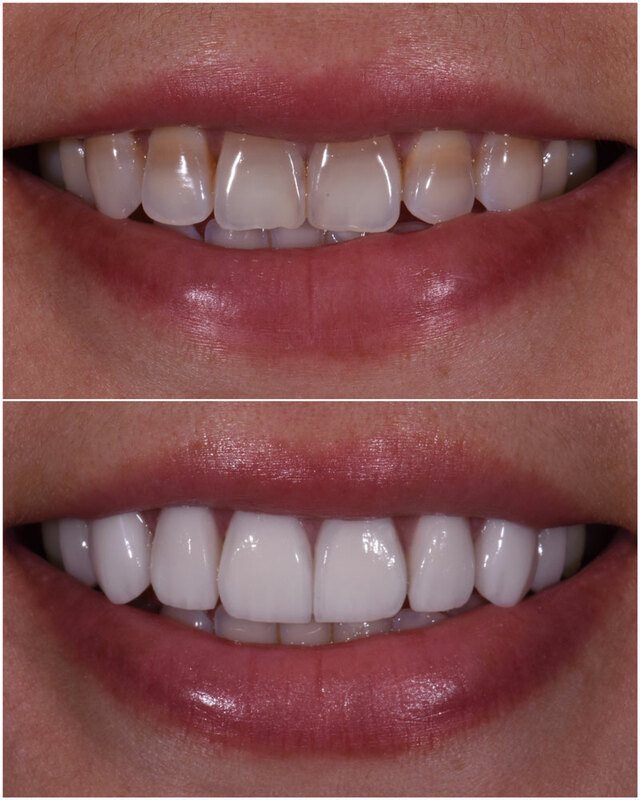 Correcting Tetracylcine Staining with Porcelain Veneers is the ideal option and can completely enhance the color of the teeth. 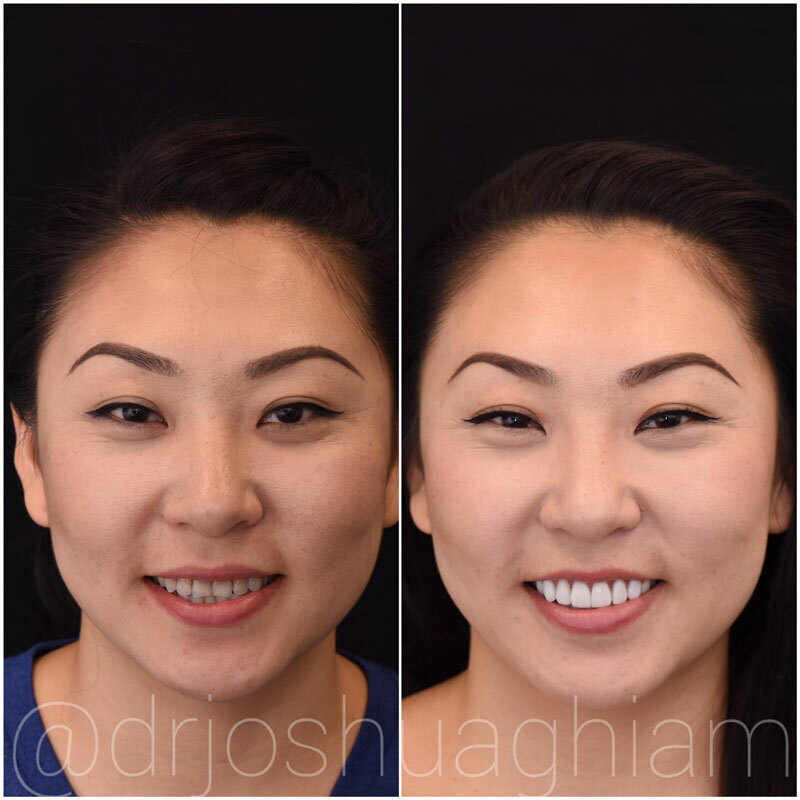 The purpose of the treatment was to mask the dark stained tooth structure while also enhancing the shape and the position of the teeth.